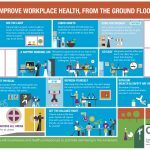 Through a 2015 to 2016 award from the Health Foundation* we looked at the evidence base for workplace health. Our focus was on one of the largest employers in the world (1.3 million employees): the National Health Service (NHS). Annexes to the report include a select list of tools and resources that are of particular relevance to the NHS, and tables of evidence in workplace health (focusing on health-care settings). The case studies will be made available throughout the year on our blog. 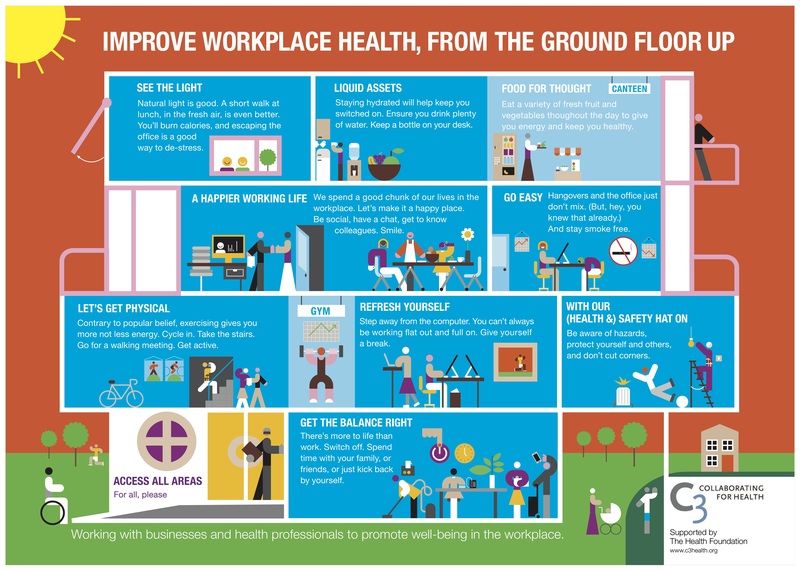 We also created an infographic, ‘Improve workplace health, from the ground floor up’, which creatively illustrates tips for a healthy workplace. A workshop of 21 experts discussing ‘What good health can contribute to productivity’ followed our rapid review. Keynote talks featured Professor Kevin Daniels (Norwich Business School and the What Works Centre for Wellbeing) and Dr Steven Boorman (Empactis, and the author of the influential 2009 ‘Boorman Review’ of wellbeing in the NHS). UK productivity – or lack of it – continues to rise up the political, business and public-sector agendas. An Office for National Statistics report in October 2016 estimated that output per hour worked in the United Kingdom in 2015 was 18 percentage points below the average for the rest of the G7 advanced economies. Productivity is also a particularly pressing concern in the NHS, as calls continue for ever greater efficiency savings. And yet the role of employee health everywhere is often not front-and-centre in discussions on how to improve productivity, despite its impact on sickness absence and presenteeism. Download the report from ‘What good health can contribute to productivity’. 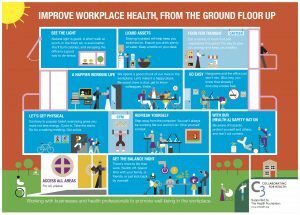 Want more workplace health projects? See our latest work with health professionals, the Healthy Weight Initiative for Nurses (WIN.). With special thanks to Peter Grundy, infographic illustrator, and advertising agency Libertine for their generous assistance with the infographic. * The Health Foundation is an independent charity committed to bringing about better health and health care for people in the United Kingdom.